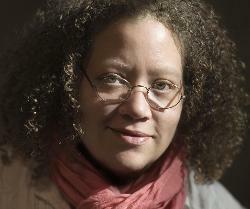 Gail Anderson is a New York-based designer, writer, educator, and partner at Anderson Newton Design. From 2002 through 2010, Anderson served as Creative Director of Design at SpotCo, a New York City advertising agency that creates artwork for Broadway and institutional theater. From 1987 to early 2002, she worked at Rolling Stone magazine, serving as associate art director, deputy art director, and finally, as the magazine's senior art director. Anderson is co-author, with Steven Heller, of The Typographic Universe, as well as New Modernist Type, New Ornamental Type, and New Vintage Type. She teaches in the School of Visual Arts, and serves on The Citizens Stamp Advisory Committee for the USPS, and the board for the Type Directors Club. Anderson is the recipient of the 2008 Lifetime Achievement Medal from the AIGA.